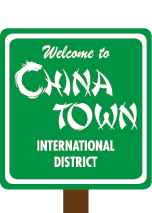 Preserving the culture and history of Seattle’s Chinatown International District, requires combining historic preservation best practices, community planning processes, and new laws, regulations, that will keep the neighborhood working for the people who live, work, and play here. Idea Space’s Preservation and Sustainability focus helps neighborhood property and business owners navigate changing rules and regulations and access incentives for building upgrades. We also work to involve local people in planning for the future of the neighborhood, helping the Chinatown International District stay vibrant into the future. Contact MaryKate Ryan at marykater@SCIDpda.org for more information.